Malabar kitchen restaurant was established in the year 2015 and is located in Albufeira, Portugal. It is in Ourapraia Hotel. In addition to Indian menus we also serve Portugese and Italian food menus. We do have bar facility available at this restaurant. It is very big restaurant, at a time maximum 50 people can take food. The bar is beautiful pool view bar. We do lot of promotions at this summer. 18-7-2016 to 31-7-2016 Buy one Get One COBRA Beer 330ml. Established in Albuferia-Portugal in the year 2000 by Mr. Alex & Ms. Mary. It is their family business. Mr. Alex and Ms. Mary are from South India, Kerala. Kerala is God's Living Place its natural green City. Mr. Alex and Ms. Mary have started business with one restaurant and soon it has been spread across Six places. All these restaurants are pioneer in bringing the Indian food to the people around Albufeira. The unique taste brings the customer to visit the restaurant often. Some of the unique Indian dishes can be found only at our restaurants. Our main motive is to satisfy our customers with good quality and tasty food. We serve with commitment to give our customers the best dining experience. We have been accommodating the changes of time by increasing the standards to cater the ever growing necessities of today’s taste hunters. We do not use any artificial flavors. The masala’s are freshly grounded and we try to preserve and enhance the flavor of the spices and hence providing good quality and hygienic food to our customers. Other than restaurants we also have 'Off License' established in 2010 where you can get all Indian grocery items needed for cooking. 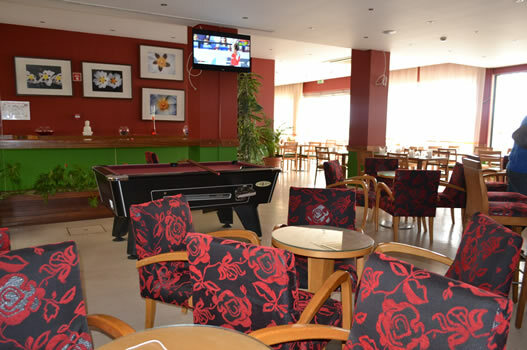 Its located in Albufeira Old Town, nearby our Jaipur restaurant.